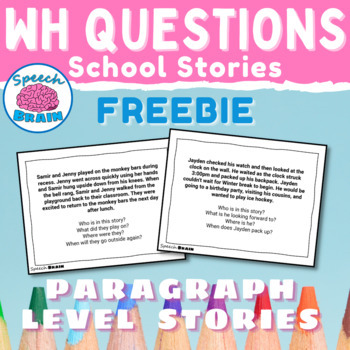 This product includes 20 paragraph-level stories with corresponding wh- questions. Each story is school-themed and is followed by who, what, where, and when questions related to the story. There is also a quick data collection sheet!